The Brooklin Redmen call Iroquois Park Sports Centre home. Situated on 50 acres of parkland, the Iroquois Park Sports Centre (IPSC) is Canada’s largest municipally owned and operated recreation facility. Inside, there are six (6) arenas, including a large stadium arena, two pools, a fully licensed restaurant and food court area, banquet and meeting rooms, a pro shop and elite athletic training facilities. Outside, there are 6 illuminated tennis courts, 3 illuminated tournament quality baseball diamonds, another two unlit ball diamonds and a fully lit tournament quality soccer pitch. The 250,000 square foot sports and entertainment facility was voted in the Top 5 “Best Arenas in the GTA” by Toronto Star. 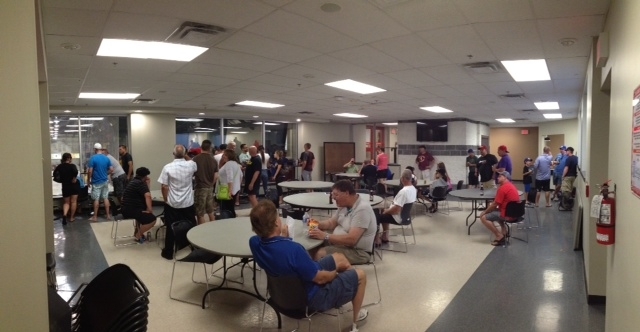 The Brooklin Redmen Booster lounge is open at every home game, and features wine, beer & coolers.